You’ve already heard that Donald Trump’s Supreme Court pick Brett Kavanaugh is a disaster. He must not be given a lifetime appointment to the Supreme Court. Mitch McConnell and his Republican friends thought this would be easy for them — that’s why they’re rushing the process on Kavanaugh. They’ve scheduled hearings for the first week in September, MONTHS before anyone even has a chance to review his full record and the millions of documents he worked on as a senior lawyer and staff secretary for George W Bush. 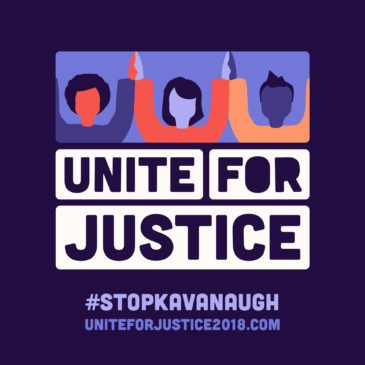 That’s why we’re joining Friends of the Earth, NARAL Pro-Choice America, MoveOn.org and more than 30 other organizations from across the country to build an August 26th National Day of Action, “Unite for Justice,” to stop Brett Kavanaugh and demand that our senators vote NO on his confirmation. Are you in? Sign up to host or attend an August 26 event near you. If the Senate votes to confirm Kavanaugh, it would cement into place the worst and most dangerous of Donald Trump’s policies for generations to come. Not only that, but he could use his position on the Supreme Court to rule that Trump is immune from investigation and prosecution, creating a lawless presidency with Trump in control. On August 26th, events will be held in all 50 states to #StopKavanaugh and #SaveScotus. With so much at stake, can you join us in the streets as we take action? RSVP now for our August 26th national day of action.